The writer has been using turbotax tax preparation software for many years and can personally recommend this software. It is one of the best tax preparation software packages for consumers to use. It is always updated to reflect the latest tax deductions. Customers can file online to ensure that they obtain their tax refund much faster than anyone who submits their taxes the old fashion way. If you are one of these people who leave it to the last minute, you do not need to worry about getting to the post office in time. 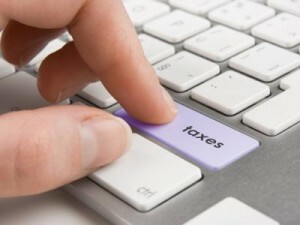 Just use the software to file your taxes online. When you think about it, filing your tax statements online makes so much sense. Once the file is transmitted it is immediately checked for errors and acceptability. You will receive a confirmation notification even before you log off. Within a few days the file is run through a batch process at the governments offices. Which will review your tax filing, calculate your taxes and other benefits and issue a report along with your refund ready. It can also be sent to you through the electronic funds transfer that most banks participate in. Not only have you saved time in the transfer process. turbo tax ensures that your filing is accurate, and you get your refund sometimes up to 3 or 4 weeks faster than anyone who files the old fashion way. The majority of errors on regular tax forms are usually mathematical. In other words the consumer made a mistake in the addition or subtraction area. For more posts about paying taxes including tax preparation, click here. This came to us as an email. We are not sure who wrote it but thought it was worth passing along: economics 101. You might not agree with this story and its outcome, but take a few minutes to really think about it and what it means to you on your job and on your co-workers. More importantly what impact will it have on the long term wealth of your family and your grand kids if this sort of thought process were to continue for any length of time. When the reward is great, the effort to succeed is great, but when government takes all the reward away, no one will try or want to succeed. This statement was so profound that we really thought we needed to pass it along for our readers. It was based on a test that an economics professor ran in his classes that he was teaching. Many people who read this will not believe it and many people will simply not care. They are either too busy making a living and trying to survive independent of government hand outs or they are too busy trying to figure out were the next handout is going to come from. In a socialist country were all costs are covered for medical treatment, you soon find that people go to the doctor for even a simple cold which drives up the cost for everyone substantially. Can we afford to pay for this miss use of funds for medical treatment? I do not think so. There is no time like the present to start to plan your savings and taxes you need to pay next year than right now. Sounds melodramatic doesn’t it. Well when I posted this particular post, it was April 7th and consumers living in the United States were almost finished with their tax filing. Which is due April 15th and Canadians had until the end of April to complete theirs. While all of this information is fresh in your mind, why not give some thought to next years taxes. How you can decrease the amount of tax you owe to the government? 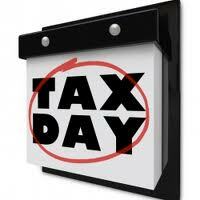 If you have just finished your tax filing, this is a good time to set an appointment with your accountant. Begin planning for the following year in an effort to minimize your taxes. Let’s be very clear, there is nothing wrong with using legal means to find and use deductions to minimize your taxes. Using fraudulent claims and deductions that are not allowed in the eyes of the tax department is wrong and illegal. That is why you hire an accountant to keep you from being fined by the tax department or worse going to jail. Last years taxes are done and there is nothing you can do unless you own a company. Personal taxes are completed. In some jurisdictions you can refile corporate taxes and average the tax owing so that you pay less tax. This is perfectly legit. However you have to plan for this and make sure that all deductions are in order and that you have shown all income properly. Planning at the end of one tax year filing date is the best time to do this for the current and upcoming years. If you need to contribute to an RRSP or a 401K, then you have to know what your budget is, how much you have coming in and how much will be left over after all bills are paid. Don’t forget to save some for yourself and the rest should go to savings and tax deductible savings if possible to minimize your taxes. Some times doing a budget like this will identify that you are spending more than you are bringing in. This is the time to do something about it before you get into a bad debt situation. Rein in those expenses and put some money away for a rainy day in your savings account or in your tax deductible account. Budgeting is tough and sticking to the budget is even more difficult. However like any thing we have to work hard for, the pay off is worth it. Financial independence, lack of worry and stress and savings for a rainy day make it all worthwhile. Once you have a budget plan in place the next step is to track your budget every week. I do mine on Saturday mornings. Doing it once a week means that it does not take a lot of time. It helps me identify problems quickly if I am tending to go off my budget. You will likely need to make mid course corrections, however this should be expected and anticipated. Examine what has changed, and what you need to change to get back on track. Develop a plan that takes you back to meeting your goal so that you can achieve your financial objectives. Which among others means minimizing the tax you pay. We are going to write more posts along these lines. If there is a particular subject you would like to see, please leave a comment. Also if you comments on what we have written, those are welcome as well. Spam comments will be auto deleted. Tax deadlines are approaching in Canada and the United States. In Canada our taxes are due on the last day of April,. While in the United States the 15th of April is the usual deadline. For those of you who do your taxes on time, you spare yourselves the stress and frustration of filing late or getting your tax filing in at the last moment. 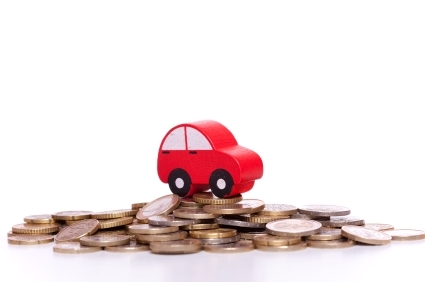 If you owe money and you are late, there are tax penalties. They will cost you more money than you are already paying. There are many millions of people who go down to the wire either because they are missing some key piece of data or they just procrastinate and leave it to the last minute. Either way, most consumers will benefit by being organized and taking full advantage of all of the deductions that are legally allowed by their respective governments. The best time to do an initial tax assessment is before the year end so that if there are last minute tax adjustments you want to make to reduce your taxes, you still have time to take those steps. Do it Your Self or Hire a Professional? This is often the big dilemma for many consumers. The fact of the matter is that unless you have a simple straightforward tax form to fill out, you are likely going to miss a deduction and pay more tax to the government than you should. There also may be deductions which you are eligible for, but have not even heard of. The tax laws change every year and as a non practicing accountant it is very tough to stay current with all of the new laws and deductions that might be available. If you are not good with numbers, do not have the time, or just feel intimidated by the complex tax forms, they you are probably better off to do your taxes in advance with an accountant. You may have to pay a bit more for his or her fee, which by the way is tax deductible, it can be well worth it and you will not have the stress of wondering if you are going to be audited due to a simple mistake. Note that if you suddenly decide a month before your taxes are due to use an accountant, you may have a difficult time to find an accountant to take you on as an account. They are extremely busy at this time of year and usually have a full list of customers that they have already committed to in terms of completing their tax filings. They may take you on, however they may specifically not commit to completing your filing on time, which puts you in a real difficult situation should your return be late and subject to penalties. Talk to your prospective accountant early in the year and begin tax planning now for this year and for next year with the idea of minimizing your income tax payable. Why so soon, well sometimes you need to make the expenditure, the RRSP investment, the 401K investment in the year you want to deduct and it may take some commitment and savings on your part to meet these deadlines. Planning ahead and knowing exactly what you are going to do well in advance is much easier to accommodate and takes the stress of you. It all sounds good, but sometimes it is really difficult to do and this is where your tax planner can help you by reminding you that you must make dome deposits etc to prepare for your taxes. For many years Canadians have looked on the US and been envious with the lower taxes on virtually everything compared to what Canadians are paying. Sure we have better health care in that everyone is covered. But what many American do not know is that we must wait a long time to get the care we need. They are seen within weeks, where we must wait months or years to see a specialist. That is really the subject of another post which we will discuss sometime in the near future. For now, are taxes going up? This post is more to do with taxes that Americans currently pay and were they are probably going to go. Of course I have to say up front that this is from a Canadians perspective watching what is going on in the United States, knowing what we pay here in Canada. Gasoline – Canadians are paying $4.53 per US gallon, while many states the price of gas is under $4.00 per US Gallon. Here is a big opportunity to increase the income for states as well as the federal government. Beer, Wine etc – Again Canadians pay from $30 to $40 per case of 24 bottles of beer. In the US we have bought cases of 36 for around $20. Another huge increase all on the consumer is possible here as well. It is well known that taxes on income are much lower for US workers than Canadians. Yes you have to pay for health care, however so do we. Most Canadians pay $600 a year as a surcharge on their taxes for health coverage. This may not sound like much, however you still have to pay for all of your drugs, dental and Vision coverage on top of everything that the government pays for. The real big advantage for Canadians is that you will not go bankrupt from medical bills. You might die before you get treated, but you will be covered! These are just a few examples of what is coming to the US consumer as governments in the US try to find ways to generate more income to help them meet their bills. Oh and I forgot, one other area. This is what we call user fee’s. Every time you go to a park, use a hockey rink, rent a soccer field, all of these fees are going to be increasing as well. In short we are about to see a huge inflationary spike driven by increasing government taxes and the rising cost of oil which impacts everything. Get ready America, there is going to be a lot less money in your pocket and more in the hands of government! They will spend it on some good things and they will also waste it on many things that you will not agree with, but rest assured you will be paying a lot more taxes than you are today, if you are working. Comments are welcome, either agreeing or disagreeing. Just keep it clean and professional.